If you can find someone experienced with tilemapping and compression, I can do both "Castelo Rá Tin Bum" and "Sítio do Pica Pau Amarelo", as they need some timed ordeal. I looked at Castelo and the text graphics seemed quite straightforward: it stores the tiles as 1bpp, and loads them into VRAM with a routine. As for the text itself, I haven't got that far yet. I remember watching Sardius play Alex Kidd in High Tech World. He got to the second "adventure" stage, and it sounds like even Sega of America didn't know how to finish the level (I recall they gave a solution like "pause the game 100 times" which sounds more like a cheat code than an intended solution). Yeah, you have to pray in a temple for good luck 100 times and then you get something to progress to the next level. It's ridiculous. Not a fun puzzle, even with three solutions! Just looked at my notes from several years ago. I already found the text in the ROM and made a table file, so the text is easy to get at, thankfully. But I'm going away for a week now, so no chance of me doing any hacking. I can keep chatting on the forum, of course, but no progress on anything. When I get back I think I'll have a look at Anmitsu-hime just because I'm somewhat interested in it, and I already have half the text translated (I did the intro, ending and a few other bits in my old notes). Granted you could play Alex Kidd and get the same experience, but whatever. At least it now makes sense that you live in a Japanese castle with your mum and dad when you're a princess rather than Alex Kidd. The Japanese version of Enduro Racer has a lot more stuff in it, but I don't recall it having any Japanese language. Same with Captain Silver. At first I thought it was just a reskin to remove the FOTNS stuff, but after reading HG101 I can see that it goes beyond that, even changing some levels and boss battles. I think I may have to add that to the list - and possibly get to work, because it's quite an interesting one! The longer version of Captain Silver was also released in Europe, so that's already available in English too (I haven't checked the Japanese Captain Silver ROM). Yes, the Japanese version of Enduro Racer contains the full 10-level game. The western versions are five levels played twice. The EU version of Captain Silver is the full game as well. It's just the US that got the stripped-down version. You know, aside from this goal that involves translating every known non-English Sega Master System game, I'm personally more interested in someone translating the non-English Sega SG-1000 games. You know, the Sega SG-1000, Sega's first, albeit Japan (and to a lesser extent, Asian and Oceanian) exclusive, console waaaaay before Sega brought the Sega Master System outside of Japan. Pro Yakyuu - Pennant Race is actually a different game to the US Great Baseball release. Pro Yakyuu - Pennant Race released later and is more advanced with an overhead view along with having different teams/leagues. 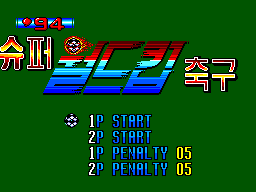 As for Korean games, the only one that might be considered official is HiCom's Gaegujangi Kkachi. HiCom did officially distribute some SMS and SMD games in Korea, but it's not really clear what their relationship was with Samsung. The other Korean games are mostly in English anyway. Some were localised for the Australian "4 Pak All Action" release, whilst others were localised for US Game Gear release (runing in SMS mode). Super Boy 4 was already fully English. 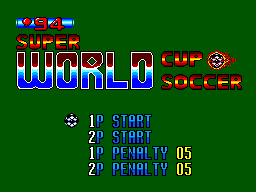 94 Super World Cup Soccer and Jang Pung 3 seem to just have Korean on the title screen. Dallyeora Pigu Wang has Korean on title, team selection, and game over. Samgukji III has Korean on title, intro, and player selection. Gaegujangi Kkachi has Korean on title, intro, inventory, shop, and start/end of level. If we are going by "official" I think the Super Boy games would be out as they are clearly bootleg Mario ports. Heard that Spellcaster (UE) is very different from Kujaku-Oh (J) - heavy graphics and entire script changed. Some more info about the original Japan series. Cyborg Hunter (U) had some graphics edited from (Chouon Senshi) Borgman (J). But don't think they changed the script really. Niiiiiice. Psyched to see these Korean games get attention! And thanks for the post about Pro Yakyuu Pennant Race -- I guess the situation is more complicated than I'd been told. Have you submitted the hack or put it anywhere? The Super Boy games seem to be completely English anyway. I took a brief look at the MSX ports, just a handful have Korean on the title screen. I didn't notice any Korean in game, but a more indepth play through will be required. Thanks, it's a common misconception about Pro Yakyuu Pennant Race, as it's clearly based on the same code. Not yet, I think I'll clean up a few things first, and wanted to see if anyone had any feedback before submitting. BTW, this list probably needs to be updated for the new set of TecToy Megadrive 4 dumps.